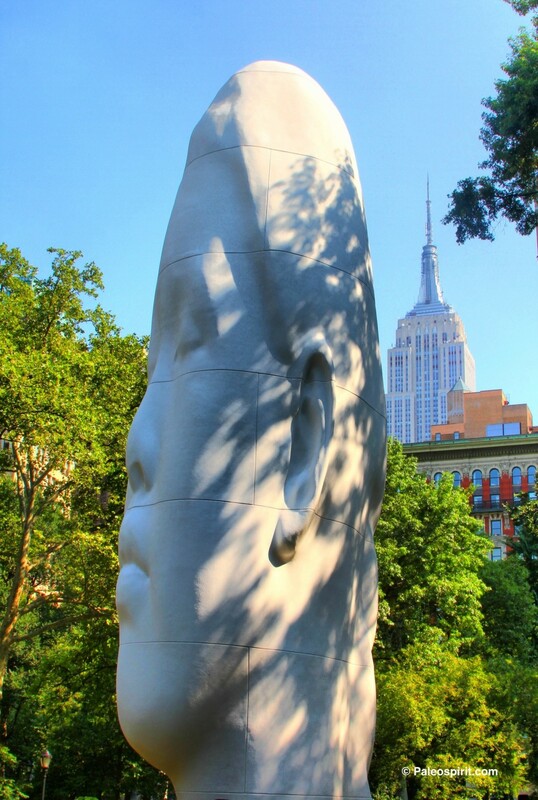 A giant head sculpture by renowned Spanish artist Jaume Plensa in Madison Square Park in New York City with the Empire State Building in the background. The 44′ high “Echo” is a white fiberglass resin work inspired by the Greek mythological nymph Echo. She could only utter other people’s thoughts but not her own. The massive scale of the work also draws parallels to Echo’s origin as a mountain nymph.